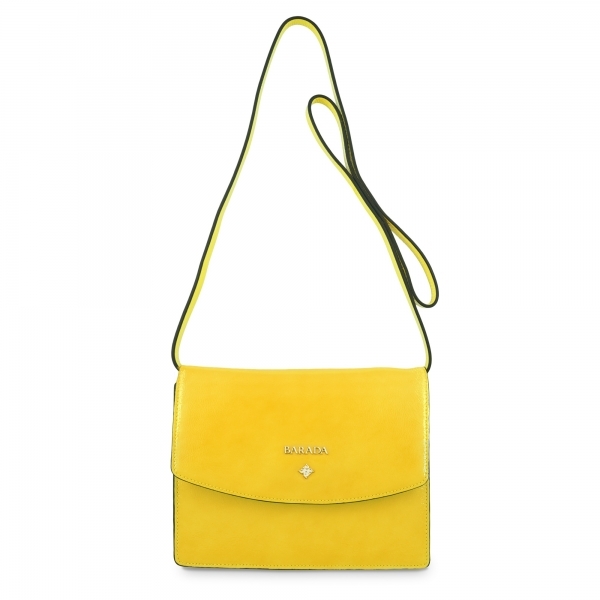 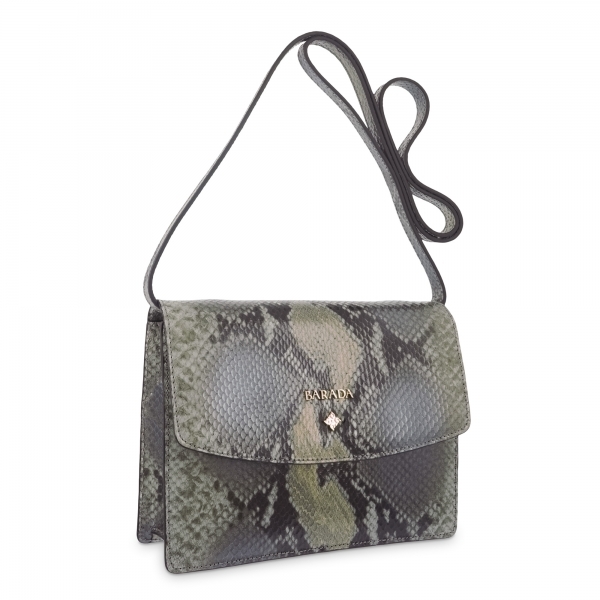 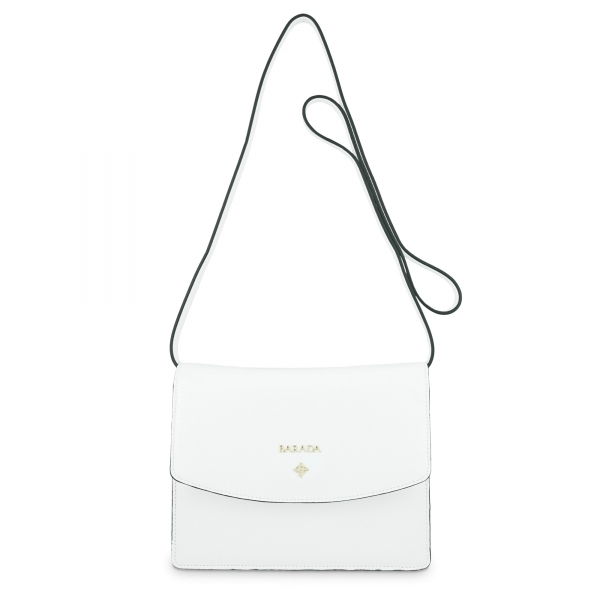 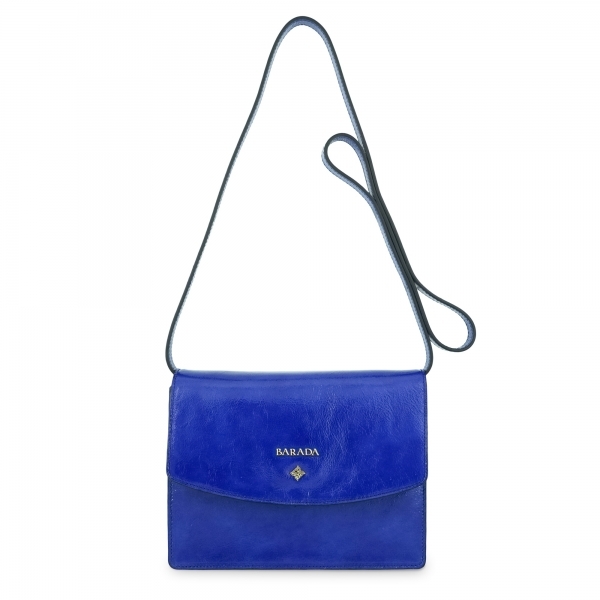 Cross body bag from our Morgana Collection. 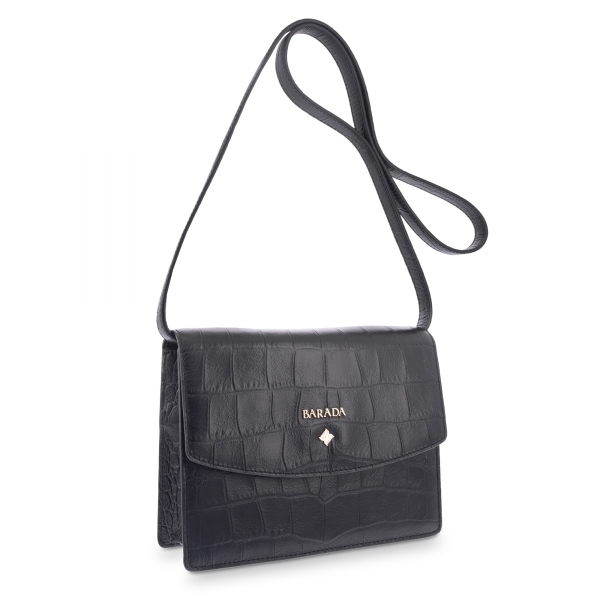 Handcrafted by Barada in Wrinkled Patent leather (Calf) in Black colour. 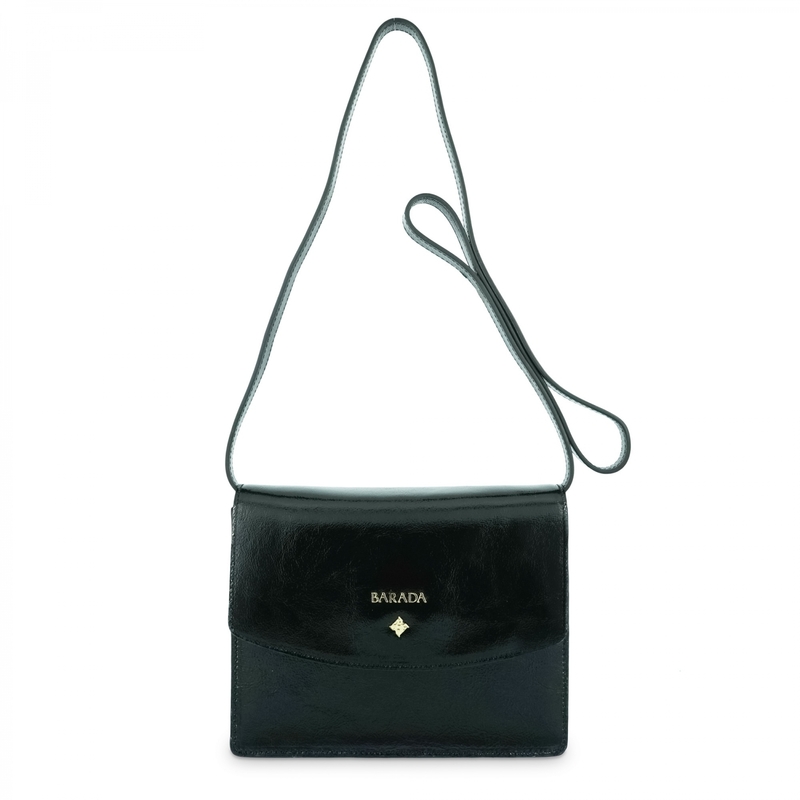 It features a flap over closure with a magnetic button. It has an interior flat pocket and an zip pocket and shoulder strap. 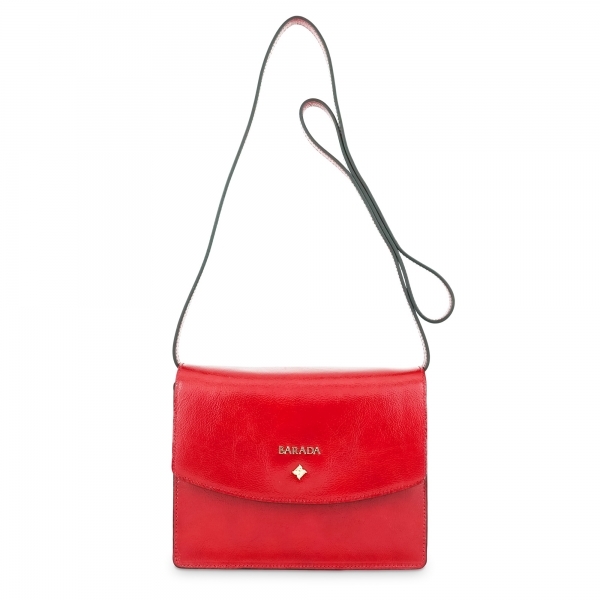 Measurements: 26 x 19 x 11 cm..